UWC Leirskule offers participants a chance to meet people from all over the world, join exciting outdoor activities and practice their English speaking skills. 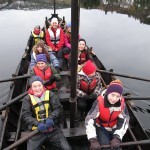 Each week a group of school children (age 11-14) from our region, comes for a week of activities. They get fully immersed in campus life, eat all meals in the kantina and stay on campus in the UWC Connect buildings. 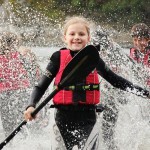 In the morning sessions, the outdoor staff lead activities such as canoeing, boat trips and outdoor kitchen. 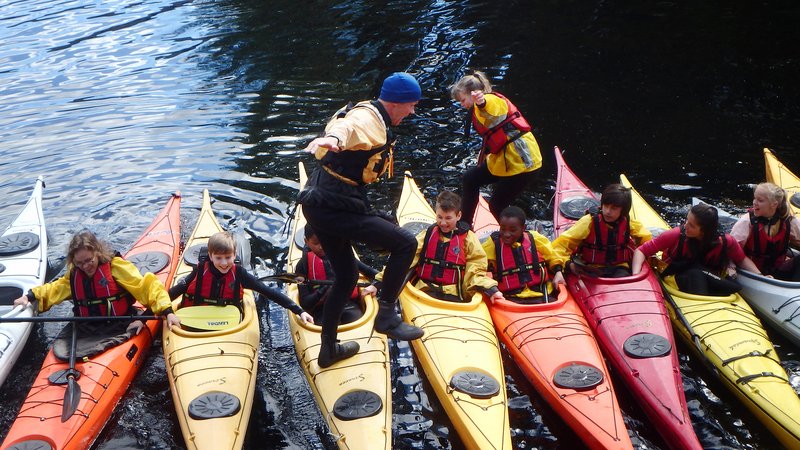 During the afternoon sessions, participants do activities like kayaking, climbing, Haugland adventure, low ropes, bush craft and archery. These sessions are led by UWC RCN students, supervised by staff members. In the evenings guests are able to use the pool facilities at Haugland. 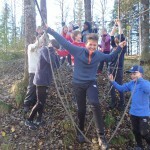 They are also treated to an evening of international activities and a party on the Thursday night to round off the week. At the end of the season; a huge thank you to all students and staff that facilitate Leirskule activities, this program could not run without you.